So I guess it was personal growth. Daryl Dixon didn’t die in The Walking Dead episode 412 “Still.” And he didn’t eat Beth. He did, however, have an emotional turning point. Norman Reedus talked to The Hollywood Reporter about why Daryl isn’t giving up, despite the bleakness of his situation. Spoilers for “Still” if you haven’t seen it yet. “He’s definitely moving in the right direction now. He’s interesting in that he’s very guarded and very loyal. Once he breaks that wall down with someone, he’s loyal forever. 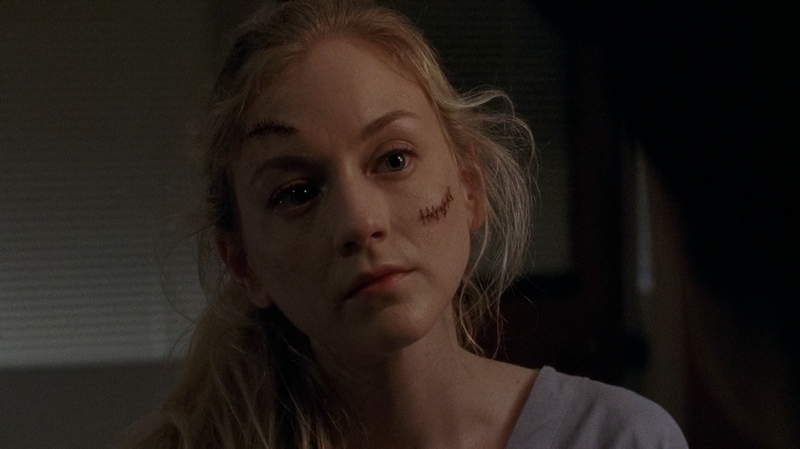 Especially with Beth in this episode: she means a lot to him and took time to get to know him and open up to him and that got him to open up. It created a stronger bond between these two. He still thinks everyone else is dead and has little hope for the future, but Beth gave him a little light at the end of the tunnel and that means a lot to him,” Reedus said. Will that relationship blossom into something more romantic? Reedus wouldn’t say if there would be Beth/Daryl (Bethyl) relationship. But he wouldn’t say no. 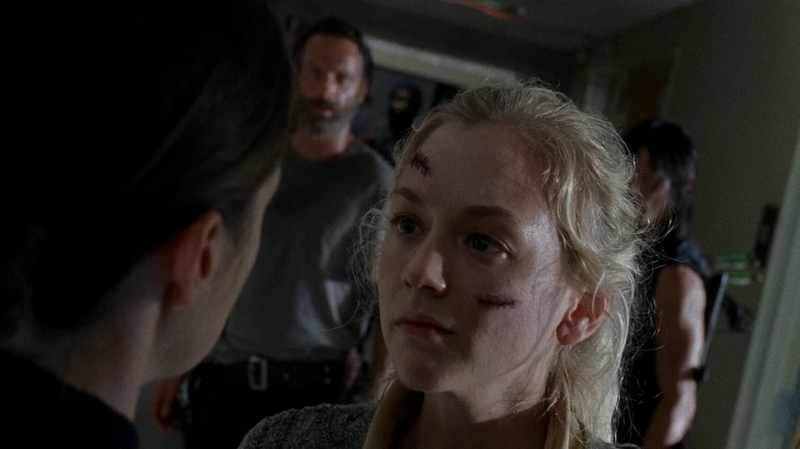 “Everyone pairs Beth up with Carl in this weird way and she’s much older than Carl. He’s looking for comics and she’s looking for food. They’re definitely not the same age. I can’t tell you if there’s going to be a romantic thing; we’re not allowed to talk about that stuff. But never say never! 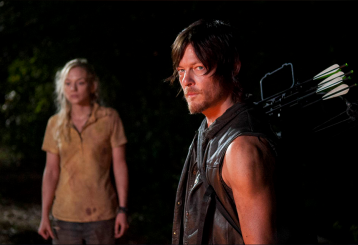 She’s a cute girl in the zombie apocalypse and Daryl could do much worse,” Reedus said. Gotta agree. I know the laws against that kind of thing are suspended due to the apocalypse, but Beth and Carl just wouldn’t work. And for those who were a little disappointed with a slightly slower-paced episode, Reedus seems to hint that Daryl will need all the personal strength he can muster to survive what’s coming in the rest of the season. “It’s everything he’s grown up on and learned and all of that is amped up. Every single aspect of that fighting part of him that’s sensitive that cares, it’s all amplified 100 times just before the season ends. 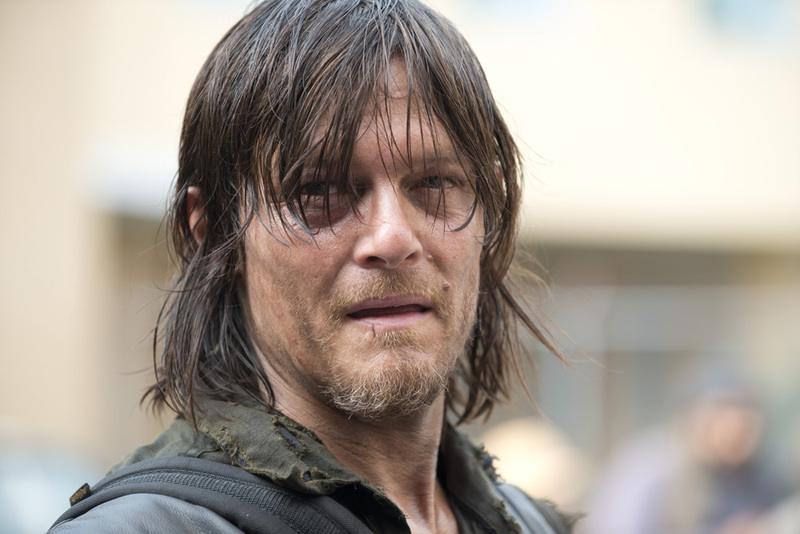 There’s a whole bunch of stuff that goes on; the rest of the season is nonstop,” Reedus said.